NBC was slammed on Twitter Wednesday after it conducted an internal investigation into how the network handled allegations of sexual harassment against Matt Lauer and found there is "no evidence" any NBC senior executives knew about Lauer's behavior. Lauer was fired from NBC in November after allegations of sexual harassment became public and scandal permeated the widely watched "Today" morning show, the Washington Post reports. 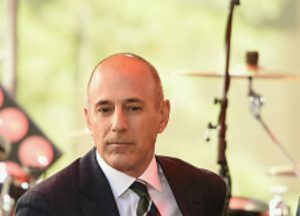 "We found no evidence indicating that any NBC News or Today Show leadership, HR or others in positions of authority in the News Division received any complaints about Lauer’s workplace behavior prior to Nov. 27, 2017," NBC's report summarizing the investigation said. "All four women who came forward confirmed that they did not tell their direct manager or anyone else in a position of authority about their sexual encounters with Lauer. Current and former members of NBC News and Today Show leadership, as well as News HR, stated that they had never received a complaint about inappropriate workplace behavior by Lauer, and we did not find any contrary evidence." "We cannot change the past. What we can do is learn from it, and try to make it right," NBC News chairman Andrew Lack said. The report drew instant criticism from twitter users and those on the political right for presenting the investigation as credible when it was conducted by NBC. NBC's Matt Lauer report finds "no evidence" that leadership knew of workplace behavior complaints. Why would NBC say anything different about Matt Lauer? If they admitted compliancy they would open themselves up to massive litigation.